Toward the end of June, we had the Rogues Gallery Tour visiting Brixham Theatre in the pretty little fishing port of the same name where I bought a Ken Rogers tricycle the year before... It was hot, it was humid. It was weather - not just the atmosphere in the dressing room... and equally so onstage under the lights... 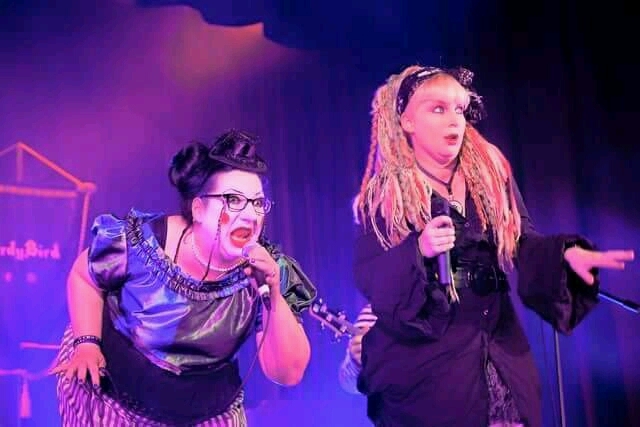 I had the honour of gracing the stage with The Mysterious Freakshow once again for a duet of Alone (that's TWICE TICKED!) 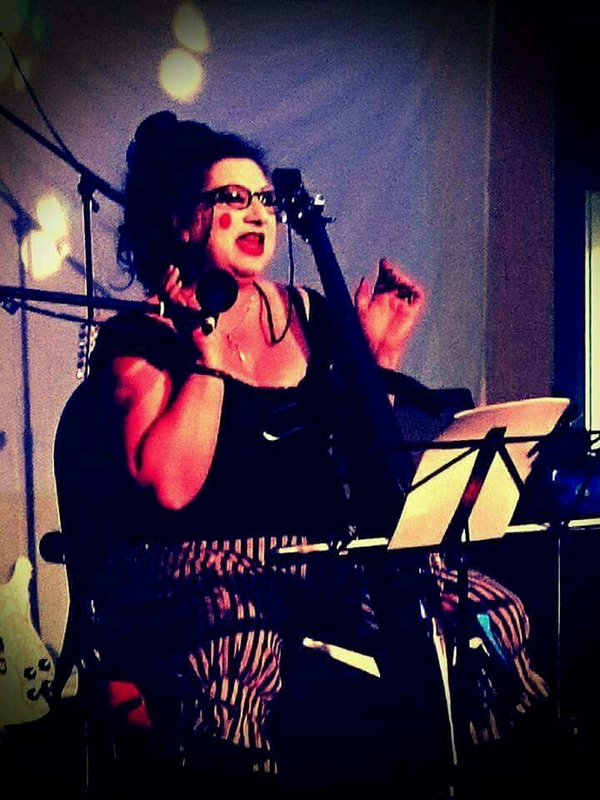 and also for a short set of my own material which went down tremendously well amongst performances from GurdyBird, Cherry V'edore, Marc Lobb, Angelique Dominique, Luna L'amour, The Copperfield Ensemble Project, Lord DaDa and more all compered by the ever capable Fantastic Ms Fanny. What a mahvellous audience! Think that's me doing Favourite Things. Not sure. 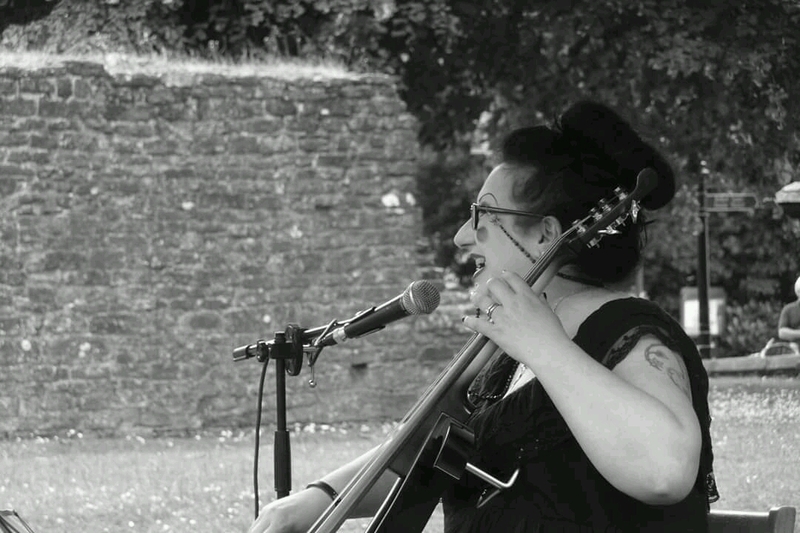 And then also in June (i think) I played the Tavistock Edge Fringe Festival in St Eustachius Church Graveyard. A beautiful setting and a beautiful audience who were in fine lungs and joined me for 45 minutes of family friendly singalong material. I LOVE YOU!! Also I lost at tea duelling (but I only did it for a free cuppa) and compered the evening and hosted the raffle. Which seemed to take a looong time with a very deep top hat full of tickets. 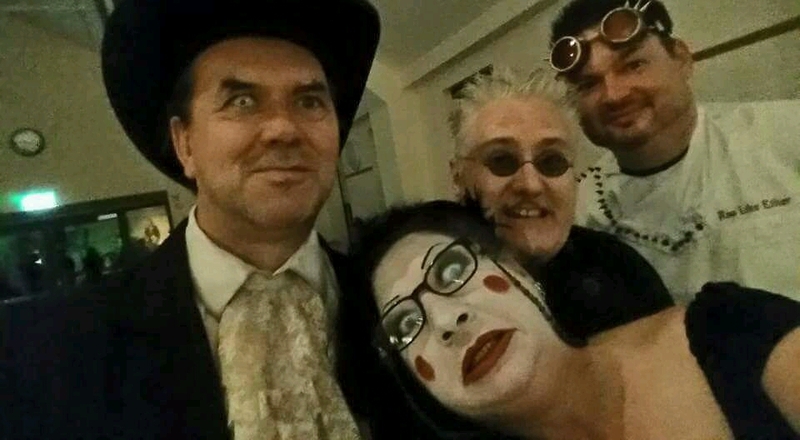 Brilliant fun and I hope to do it again next year. 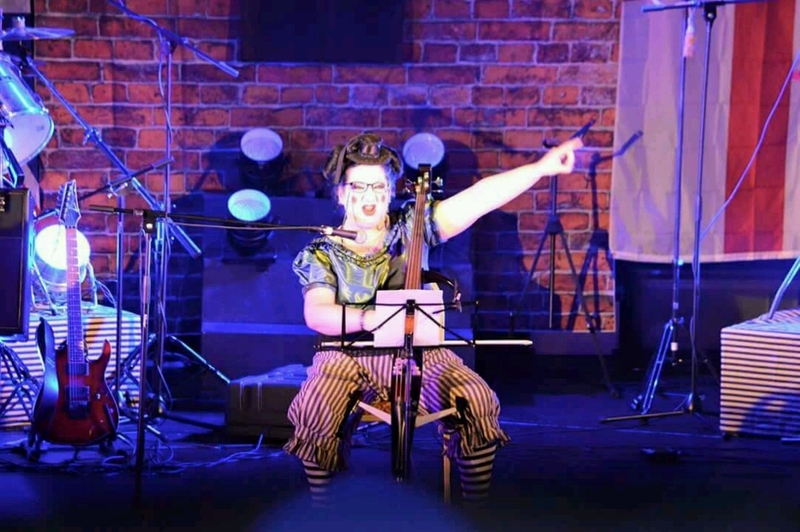 And here's me in full flow. Probably a clotted cream moment. It was the best holidah I have had in ages and I AM GOING BACK NEXT YEAR. Oh Yes! 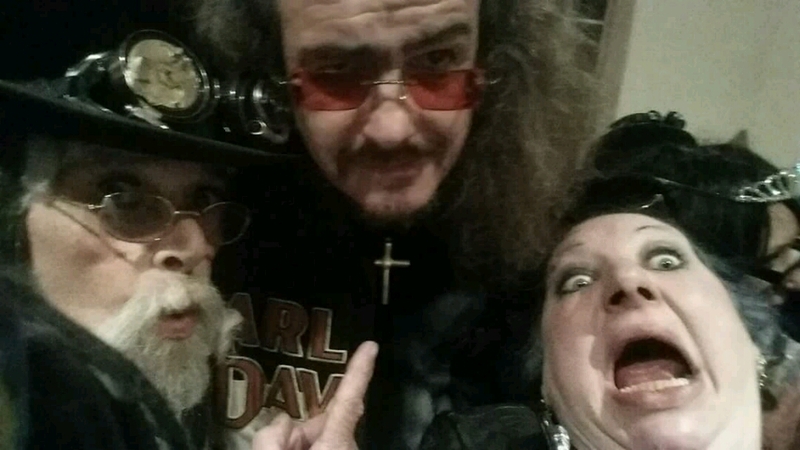 Here's me in the bar at stupid o'clock in the morning with Lord Montague Jacques Fromage III and that Clive chappy from Doctor and the Medics. Oops. 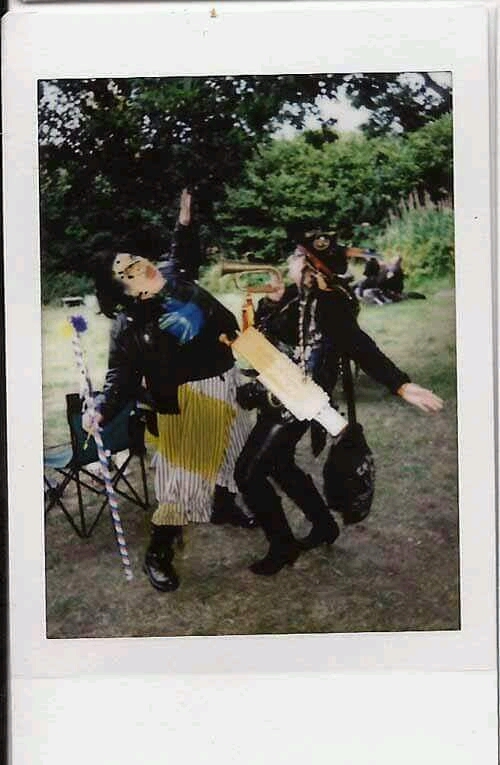 And GurdyBird tooting at me caught on an actual polaroid camera! If you want more pictures to nosey through and whatnot go and have a look at http://www.facebook.com/missvontrapp where I have very sensibly put everything into albums with everything in. Next post... future plans for the year.